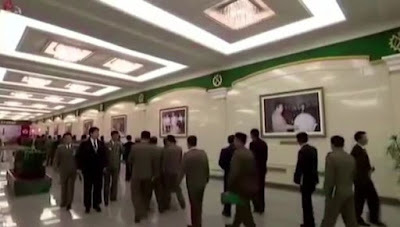 North Korea appears to have inadvertently revealed a never-before-seen photo of one of its first atomic bombs while broadcasting footage of a conference. The snap - previously unseen in the West - shows former leader Kim Jong-il inspecting a possible weapon of mass destruction. 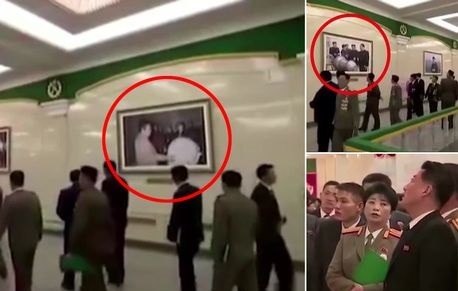 The photo was hanging on a wall in the background as state TV showed footage from an arms and munitions industry conference attended by current dictator Kim Jong-un. It shows the new leader's father, who died in 2011, looking at a large globe-like object with other officials from the regime. 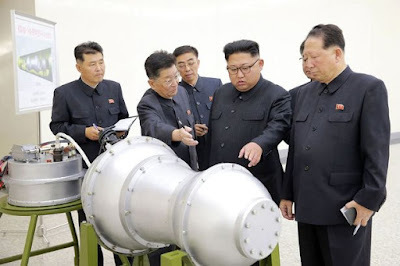 North Korea observers believe the object could be an atomic bomb, pointing to similarities between that image and recent snaps showing Kim Jong-un inspecting what Pyongyang claimed was a hydrogen bomb, one of which was hanging nearby. 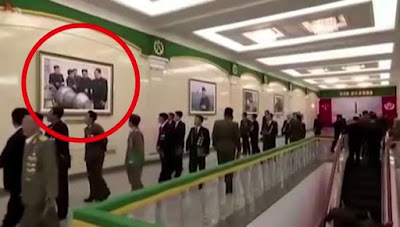 The photo of Kim Jong-il and the round object was first spotted by a China-based Twitter user, the BBC reported. The user, xutianran, wrote: "Is this an A-bomb or sth [something]?" That sparked an effort to try to verify the object, with speculation that it could have been taken in 2006 or 2009 when Kim Jong-il oversaw nuclear tests. But it is still possible that the globe is a mock device given its small size, the report added. The hermit state has inadvertently given away some of its secrets in past state news reports. Pray all these odds enter,i missed the last one.